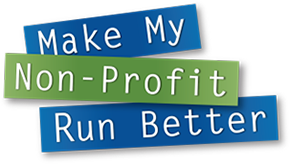 Register for this year’s Make My Non-Profit Run Better contest for your chance to win office technology makeovers – and other prizes – valued at a total of $60,000. This year, RK Dixon is focusing on helping Quad City area non-profits run better. By concentrating on a single region, we will be able to increase the overall prize allocations and make a more dramatic impact for these organizations. The first-prize winner in the “large” non-profit category (annual revenue of $250,000 or more) will receive an office technology makeover valued at up to $30,000*. The second-prize winner will receive an equipment package valued at up to $10,000. The first-prize winner in the “small” non-profit category (annual revenue of less than $250,000) will receive an office technology makeover valued at up to $15,000*. The second-prize winner will receive an equipment package valued at up to $5,000. *Certain restrictions apply. See rules for full details. Jackson, Clinton, Scott, Muscatine, Louisa, Des Moines and Henry counties in Iowa and Jo Davies, Carroll, Whiteside, Rock Island, Henry, Bureau, Mercer, Henderson, Warren and Knox counties in Illinois. If your non-profit is not located in the Quad Cities market, don’t worry! Our plan is to move the contest to our other locations in coming years.